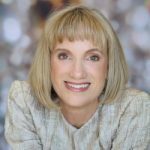 MJSA EXPO: Why Should Jewelry Designers Subcontract Their Work? 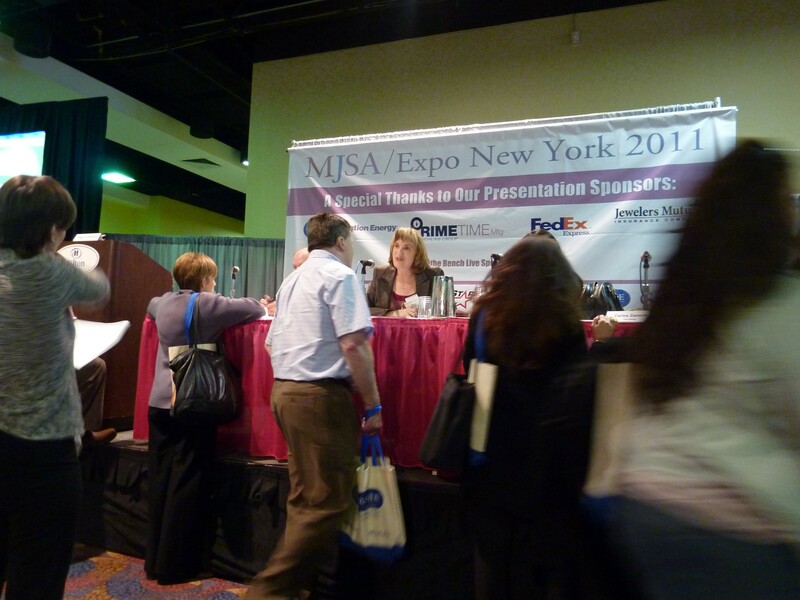 New York and the MJSA EXPO panel speaking experience were wonderful. First I’ll tell you about being on the panel then I’ll tell you the message that really rocked the room. How and why you’d subcontract, were the big discussion points at this one and a half hour panel. The panelists were Joel Weiss of Carrera Casting, Me from Calla Gold Jewelry, Malak Akut from Zaiken Jewelry and Carlos Zamora from Tech Design. We were moderated by the excellent Peggy Jo Donahue of MJSA Custom Design Magazine. Each panelist contributed their expertise on the topic from their viewpoint. I definitely learned from my co-panelists. The message that I felt was really important was, why you should sub-contract. It seems to me that doing everything yourself limits your competence and your productivity. Not that you can’t make amazing jewelry, but your imagination has more to give. The best way to have your jewelry “design line” look all the same, is to limit yourself by only using your skill-set in the making of your designs. Mmmm, we don’t want that. By reaching out to these outside-of-your-box-skilled subcontractors, you reap the design rewards that only they can give you. The special finishes you can now offer and the different setting styles you can design with will set you free. What Sorts of Skills Should You Consider Sub-Contracting? A specialized caster, like Carrera Casting can help you by telling you how to detail your design properly, so it will cast well, even if you’ve had failures in the past. This kind of help will allow you to focus on designing what you’d like, not on keeping it simple. 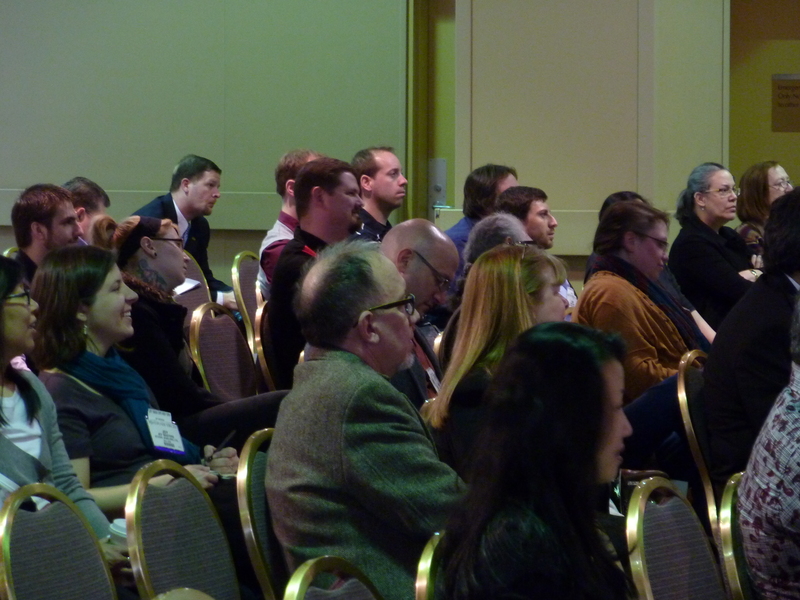 The attendees asked excellent questions and added to the event. By working with a skilled CAD (computer aided design) maker and wax creator like Carlos at Tech Design, you may find that designs that were previously but a dream, can be made real. You don’t have to do it all yourself. If you want to have a life, think about loosening up and letting go and asking for help. I know I did and it changed my business forever. For the better I might add! I love my life and I appreciate my sub-contractors and how they let me design in so many different styles. They set my imagination free and save me from burn out. 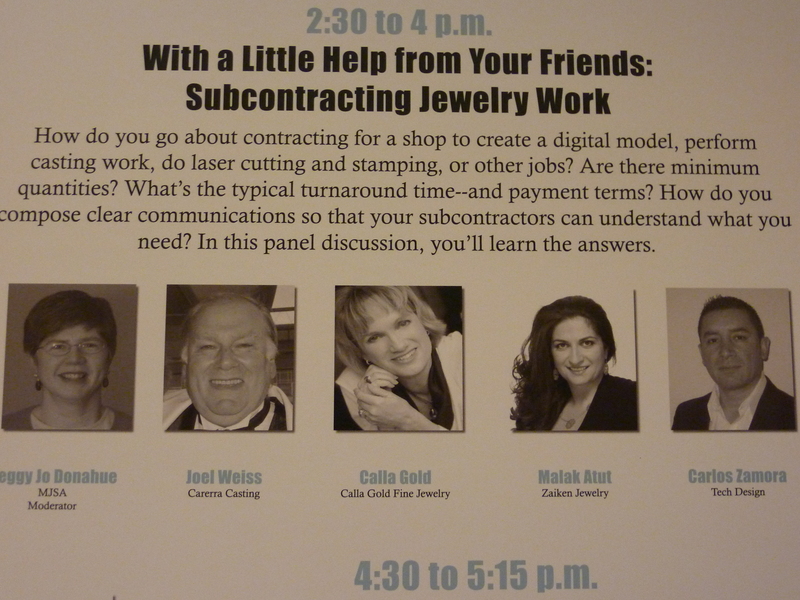 This MJSA EXPO panel really pushed home the message that subcontracting is a great way to expand your jewelry business. Their soon to be released list of Sub-Contractors will be a boon to the industry. Can I Say How Much I Love New York? I do love it. This was my first time and Manhattan was everything I’d hoped for and more. Peggy Jo Donahue of MJSA took me on a great walking tour. 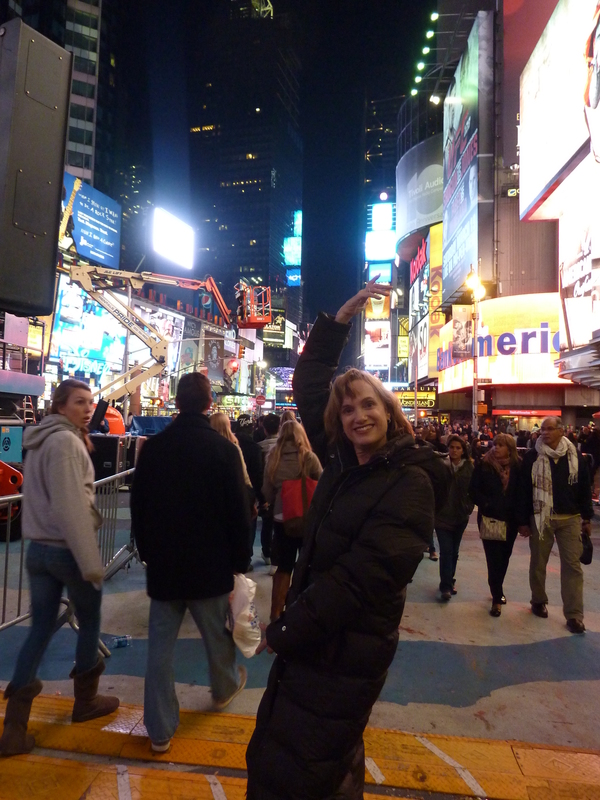 We took in Broadway, Sardi’s, Times Square and the moving visual feast that is midnight in Manhattan. 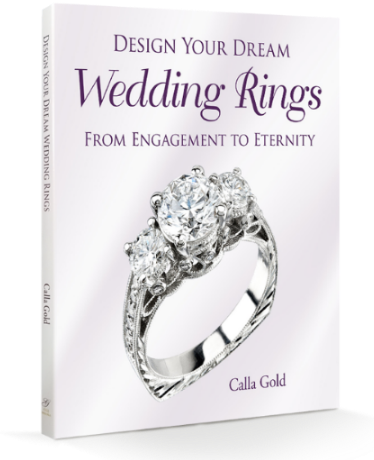 Calla, I’m proud that you are our jeweler. Look at you just movin’ and shakin’! Calla, your panel presentation was great. Your enthusiasm shone through! Loretta, thank you for coming to the panel discussion at the MJSA EXPO. You and your fellow audience members were just great. The Q & A was really fun for us panel members. I appreciate your feedback. I wish I could have seen you! I know you had the whole room smiling! One of the most trendy designer, MJSA EXPO are really gorgeous.